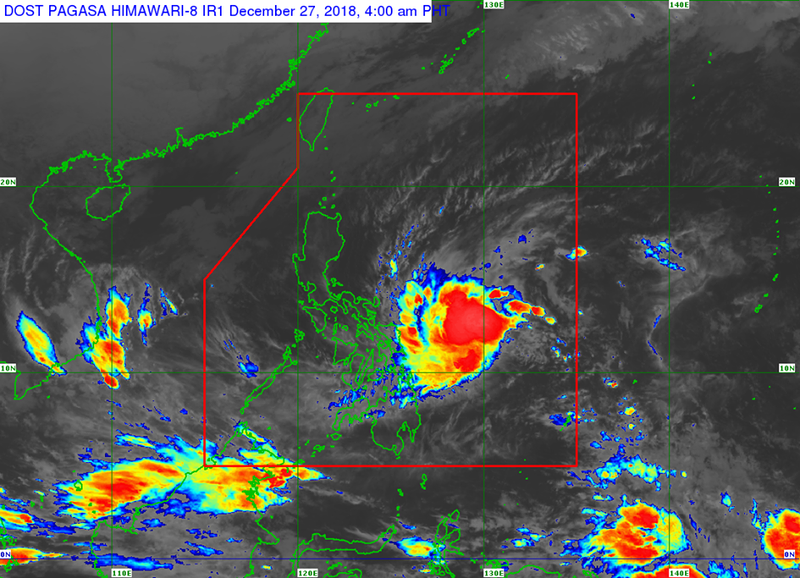 MANILA, Philippines – Tropical depression 'Usman' maintains its strength as it moves west-northwestward, state weather bureau PAGASA announced in its 5:00 am update on Thursday, December 27, 2018. 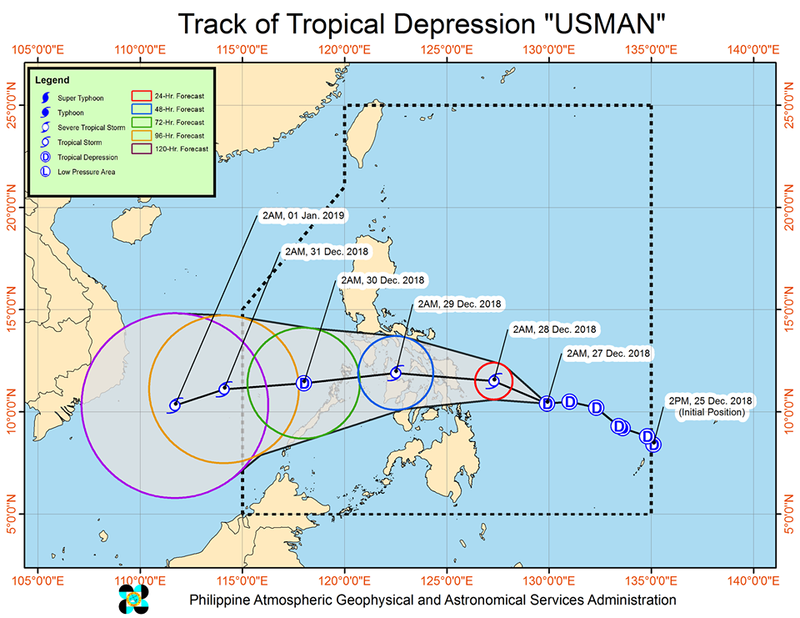 At 4:00 am today, the center of Tropical Depression 'Usman' was estimated based on all available data at 435 km East of Guiuan, Eastern Samar (10.6 °N, 129.7 °E). 'Bagyong Usman' has maximum sustained winds of 55 km/h near the center and gustiness of up to 65 km/h. It is moving West Northwest at 20 km/h. PAGASA said that 'Usman' may intensify into a Tropical Storm prior to landfall over Eastern Samar tomorrow, December 28. The weather disturbance is possible to exit the Philippine Area of Responsibility (PAR) on New Year's Eve, December 31. 'Bagyong Usman' to exit PAR on New Year's Eve, December 31. The weather central also advised of possible raising of Signal No. 1 over Albay including Burias Island, Romblon, Aklan, Capiz,Northern section of Negros Occidental, and the Northern section of Iloilo in the next severe weather bulletin. Residents of those areas, especially those living near river channels and in low-lying and mountainous areas, are advised to take precautionary measures, coordinate with local disaster risk reduction and management offices, and continue monitoring for updates. Fisherfolks and those with small seacrafts are advised not to venture out over the northern and western seaboards of Northern Luzon, eastern seaboard of Southern Luzon and including areas under TCWS due to rough seas associated with 'Usman'.